What determined which books would be in the Bible? Author Christopher R SmithPosted on June 3, 2018 Categories Bible: CanonLeave a comment on Where did the Book of Mormon come from? Does the warning at the end of Revelation signal the closing of the canon? Q. Do you read the conclusion to the book of Revelation as an indication that the canon of divine-inspired writings was concluded at that point? I’m specifically referring to the strict commands about not adding anything or taking anything away from what has been written. I understand the historical arguments concerning canonicity of Scripture, but my question is different from that. What I’m specifically asking is whether, in your view, God’s special revelation to John at the end of the book of Revelation was God’s way of saying (in essence) to humanity, “I will not be inspiring any more writings after this.” I’ve heard this argued before, but I’m undecided on it myself. That statement in Revelation applies explicitly to “the words of the prophecy of this book,” so the original intention is not to close the canon of Scripture. It’s only when Revelation is placed last in the New Testament–where it does not always appear in the historical tradition–that the statement seems to take on this larger meaning. Richmond Lattimore actually revived this presentation in our own day in the first volume of his New Testament translation, The Four Gospels and the Revelation (London: Hutchinson, 1980). So, once again, since the argument that the warning at the end of Revelation closes the canon depends on a certain book order, but NT book order has varied considerably throughout the centuries, I would not accept that argument. Author Christopher R SmithPosted on February 2, 2015 January 21, 2018 Categories Bible: CanonLeave a comment on Does the warning at the end of Revelation signal the closing of the canon? Can more books be added to the Bible? Q. If what you say is true, then why doesn’t the Christian community periodically open debate/discussion on what additional Christian literature could be included in the present library (canon)? That is, additional (not to be read “supplemental”) literature that, as time rolls on, more and more contemporarily brings greater global value to the witness of that outworking of the divine-human relationship? Even though I said in my last post that “God inspired the Bible while human authors were in the process of writing to address concerns that had arisen within the believing community,” and even though to this day the ongoing life of that community raises new concerns well worth addressing authoritatively, I would nevertheless argue that the canon of Christian Scripture should be considered closed. And I would argue this on the very same basis that I answered the original question about the uniqueness of the Bible. Specifically, while I also said in that post that the human authors of the Bible “used their God-given abilities to a significant degree to shape not just the form but arguably even the content of the sacred books,” I also noted that “it can be recognized in retrospect that the impulse for them to do this actually came from God.” And this happened in such a way that, paradoxically, we can also say that much of the initiative behind the creation of the Judeo-Christian Scriptures was divine, even though the initiative behind the composition of the actual books themselves was ostensibly human. Here’s what I mean. The biblical books, in terms of when and why they were written (as opposed to simply what parts of the story they tell), are actually clustered around significant redemptive-historical events: the exodus of ancient Israel from Egypt; the establishment of the Davidic monarchy; the exile and return; and—consummately—the coming of Jesus Christ to “fulfill” all that came before and bring the unfolding story of redemption to its climax. When we see the Bible in this light, we recognize that God’s contribution to the creation of the Scriptures was to initiate these events; the human contribution was to reflect on them under divine tutelage and express how the community should conduct and reorient its ongoing life in response to them. Moreover, also when seen in this light, the biblical books, taken together, tell a story that has already reached its conclusion, that is, its dramatic resolution, even though it has not reached its actual ending. To borrow some images from the biblical story itself, the rightful king has now taken his throne; what remains is for his whole realm to acknowledge his authority. Alternatively, we might say that the marriage has already taken place; now the bride and groom must work out how to “live happily ever after,” which (as in a real marriage) will require significant character transformation, at least on the part of Christ’s bride the church—that is the part of the story we are in now. And the ultimate ending, the return of Christ as acknowledged ruler of his entire realm, is already anticipated and depicted within the biblical story. So our part today is not to add more books to the Bible, as if its story needed more filling out. Rather, our part is to live out the section of the story between its dramatic conclusion and its actual ending—the section between the “already” and the “not yet.” This will necessarily involve more working out, including in writing, of concerns that arise within the believing community. But as valuable and worthwhile as many of these writings will be, they do not need to be added to the Bible. Its story is complete. 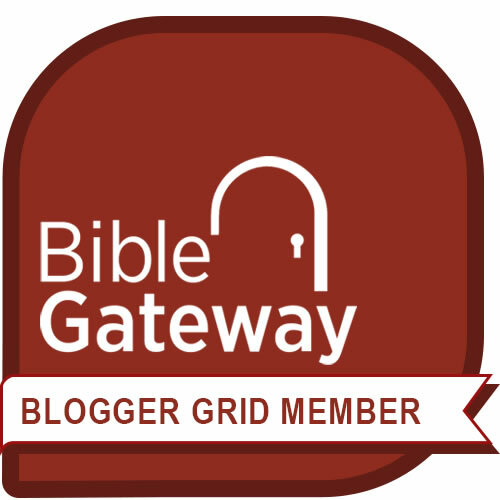 Author Christopher R SmithPosted on December 1, 2014 January 21, 2018 Categories Bible: Canon2 Comments on Can more books be added to the Bible? Do different Christian communities really consider different books Scriptural? Both now and for the past 400 years Catholics and Protestants don’t agree on what is in the Bible, and neither do Episcopalians and Lutherans. Internationally the eastern Orthodox, Ethiopian, and Syriac Bibles all contain different books than the western Catholic and Protestant Bibles. 1. None of these Bibles differ when it comes to the New Testament. All Christians communities agree universally about what books belong to the New Testament. So these differences do not provide any justification for changing the New Testament canon. 2. The current differences are rather about certain Old Testament books that were added to the biblical canon at the end of the Fourth Century in the Western church, but not in the Eastern church. No other books have been considered for inclusion since then by any of the communities the editors of A New New Testament mention. So it’s somewhat misleading to cite these communities in support of adding books to the biblical canon, particularly so many centuries later. 3. Since these books were added, and especially since the 1500s, the trend in newly-formed communities in the West—Anglican/Episcopal, Lutheran, and other Protestant—has been towards rejecting these books as canonical. Only the Roman Catholic Church still considers them fully canonical. In other words, the percentage of Christians who consider these books Scriptural, even in the West, has been steadily decreasing in recent centuries. One could posit that the church is actually moving towards a consensus about the canon that would exclude these disputed books. So the appeal to disagreement among various communities about “what is in the Bible” as grounds for adding to the canon is not really valid. 4. All of this said, there is still ample precedent for putting different books in Bibles, as the examples below will show. Nevertheless, this does not provide justification for adding more books to the canon of inspired Scripture. But that is precisely what the committee of scholars behind A New New Testament wants to do. As the publisher’s web site explains, “Hal Taussig called together a council of scholars and spiritual leaders to discuss and reconsider which books belong in the New Testament. . . . They voted on which should be added” to the “previously bound books” (that is, the ones previously bound together in the canon). As I said in my earlier post, it would have been much better to call the publication An Anthology of Early Christian Literature or even An Expanded New Testament, showing that books were being added to a published volume, but not making a claim that they should be accepted as inspired Scripture on a par with the canonical books. The issue is whether followers of Jesus should consider canonical certain books that were written in Greek within the Jewish community in the centuries before Christ. These books, sometimes known as the Apocrypha, are missing from the Hebrew Bible but they were included in the Septuagint, the Greek translation of the Old Testament that was most popular among early Christians. The Roman Catholic Church, according to the Catholic Encyclopedia, includes the following apocryphal books in its Bible because it considers them fully canonical: Tobias, Judith, Baruch, Ecclesiasticus (Sirach), Wisdom of Solomon, First and Second Maccabees, and the additions to Esther and Daniel found in the Septuagint. These books were affirmed as canonical by regional councils at Hipppo in 393 and Carthage in 397, pending eventual ratification by Rome. Around this same time Jerome included them in the Vulgate, his Latin translation of the Bible. However, Catholic theologians describe these books as deuterocanonical, meaning that they belong to a second group of books “whose Scriptural character was contested in some quarters,” as opposed to the protocanonical books, the collection of “sacred writings which have been always received by Christendom without dispute.” To the extent that a Catholic considered the consensus of Christendom significant, this distinction would have some bearing on the authority attached to these books. Nevertheless, in 1546 the Council of Trent, largely in response to the way Martin Luther had separated out the apocryphal books and placed them between the testaments in his German translation of Bible, decreed that these books were as fully canonical as the others—finally validating the decision of the Council of Carthage over a thousand years later. The Council of Trent also decreed that the Vulgate was the authoritative text of Scripture. This actually sent something of a mixed message about the Apocrypha, however, because Jerome’s prologues were always included in the Vulgate, and in his prologue to the book of Kings, in which he surveyed the entire Old Testament, Jerome specified that the books that had been translated from Greek, rather than from Hebrew, are “set aside among the apocrypha” (inter apocrifa seponendum) and “are not in the canon” (non sunt in canone). He made similar comments in the prologues to several of the apocryphal books themselves. So while the Roman Catholic Church’s embrace of these books is explicit, its position on them is not without internal tensions. Eastern Orthodox Bibles include all the books in the Catholic Apocrypha, plus 2 Esdras, 3 Esdras, 3 Maccabees, the Prayer of Manasseh, and Psalm 151. Greek Orthodox Bibles also contain 4 Maccabees, in an appendix. However, all these apocryphal books are classified as Anagignoskomena (“worthy to be read”), meaning that they are read during services of worship, but that they are not as authoritative as the other books. Orthodox theologians sometimes call the apocryphal books deuterocanonical to indicate their secondary authority, using this term differently from Catholics, for whom it describes how these books were received after first being disputed. Other Protestant Bibles contain the same Old Testament books as the Hebrew Bible. So once again, the only differences between Christian communities when it comes to the biblical canon have to do with books that were added by the Catholic church to the Old Testament in the Fourth Century. The trend in the following centuries has been away from accepting these books. This hardly provides a precedent for adding books to the New Testament today. The publishers of A New New Testament probably refer to the Syriac Church for the following reason. Tatian, a second-century Christian writer and theologian, created a harmony of the four gospels called the Diatessaron. Because Tatian’s influence was felt strongly in Syria, the oldest Syriac Bibles include the Diatessaron in place of the four gospels themselves. But by the middle of the Fifth Century, the separate gospels had been reintroduced in Syriac Bibles, displacing the Diatessaron. There is therefore, as noted above, no difference among contemporary Christians about the New Testament canon. And the very fact that Tatian created a harmony of the four canonical gospels shows that the church accepted these, and no others, as inspired Scripture. This example, therefore, hardly makes a case for adding any new gospels. The editors of A New New Testament also claim that Martin Luther himself tried to remove some books from the New Testament, and successfully did so from what he called the Old Testament. We’ve just seen that Luther actually removed the Apocrypha, which had always been disputed by the Eastern church, from the Old Testament, and put it in a section between the testaments. So it’s not really fair to Luther to say that he tried to remove some books from the New Testament when he only entertained this idea briefly, then reconsidered, and even retracted his earlier negative comments about books such as James. Author Christopher R SmithPosted on April 15, 2013 January 21, 2018 Categories Bible: CanonTags Bible: Canon, deuterocanonical, Gnostic gospels, Jesus Seminar, Taussig2 Comments on Do different Christian communities really consider different books Scriptural? Why do some scholars want to add more books to the New Testament? Q. 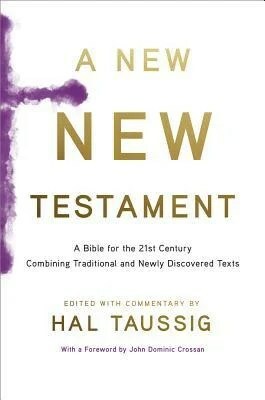 Recently, A New New Testament, published by Hal Taussig, has incorporated 10 new books into the New Testament. Most of these texts are Gnostic. Can you shed some light on the claims of the “Bible scholars” behind the project as to why these texts should be added to the canon? Your specific question is why a group of scholars wants to add particular books to the New Testament when these books are “Gnostic,” that is, they “come from a different time period than any New Testament document, and they represent a fundamentally different worldview,” as one reviewer has observed. I will answer that question first. But this new publication also raises the issue of whether anyone can add any more books to the New Testament at this point, and if so, how and why might that be done? I’ll respond to that question as well. I have not seen a copy of A New New Testament, but in my doctoral studies I did read some of the extra books it contains, such as the Gospel of Thomas and the Acts of Paul and Thecla. In other words, the scholars on the committee behind this publication (a complete list of them can be found in this article) didn’t like traditional Christian beliefs and practices, they wanted to challenge them by adding other kinds books to the Bible, and they’re hoping this will attract people to their own beliefs. No one can do this. No self-appointed, narrowly-defined committee (this one excluded any scholars who didn’t find orthodox Christianity narrow-minded and the ideas of the New Testament old-fashioned) can decide on its own what books should be in the Bible. The canon of the New Testament was not established by a committee or council of church leaders. If we were going to add any more books to the canon, the same process would have to unfold in the centuries ahead. For example, suppose we discovered another letter by the apostle Paul—his letter to Laodicea, for instance, mentioned at the end of Colossians but not known now to survive in any copies. This letter would have to stand the test of time and continual use in diverse Christian communities, as the other New Testament documents have, before it was accepted as part of the word of God. And the individuals who contributed to this ultimate determination would all have to be active community followers of Jesus. 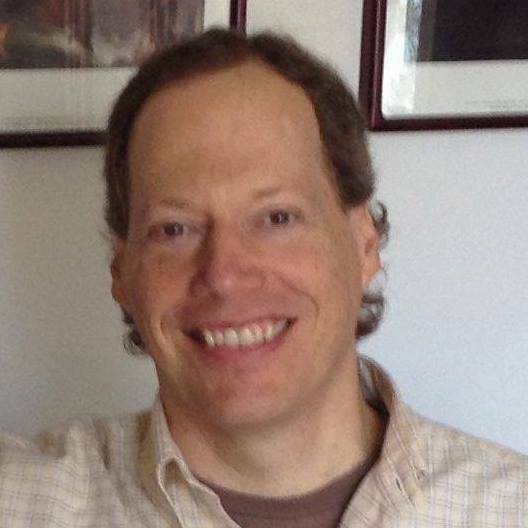 The committee behind A New New Testament included a Jewish rabbi and an “expert in yogic and Buddhist traditions.” While such people may have an academic background in biblical studies, by their own admission they are not part of the living Christian community that is animated and directed by the Holy Spirit. I can, however, think of one good use for the extra books in question. Recognizing that “early Christ movements expressed themselves” in ways different from the ones we know today can help us appreciate the good reasons behind many of the beliefs and practices we have adopted. For example, in the Acts of Paul and Thecla, Thecla, thinking she is about to be killed in the arena by wild beasts, baptizes herself. Her life is miraculously preserved and when she finds Paul afterwards, she tells him, “I have received the baptism.” Paul does not correct her, from which we understand that in the circles in which this work originated around AD 80-160, self-baptism was considered acceptable. But over time, Jesus’ followers recognized that baptism had to be the community affirming the work of God’s Spirit in an individual’s life, and so the practice of self-baptism was abandoned. Since there is value in seeing that our beliefs and practices are the result of careful deliberation over time among alternatives, I think it’s helpful for people to know about early books that describe some of these alternatives. But if we’re going to put these books together with the New Testament documents, I would call the whole collection An Anthology of Early Christian Literature. That’s the title that many universities now use for what used to be called courses in “New Testament.” Saying “Early Christian Literature” gives assurances that the enterprise is secular and historical. The title of the new publication, by contrast, is a bid to change what people believe and practice as Christians by changing their Scriptures, and we should rightfully be concerned about this. Another response to this questioner is offered in this post on Stephen Miller’s blog. Author Christopher R SmithPosted on April 12, 2013 January 21, 2018 Categories Bible: CanonTags baptism, Bible: Canon, Gnostic gospels, Jesus Seminar, Taussig4 Comments on Why do some scholars want to add more books to the New Testament? How did the Bible come to contain the books it does? Q. A student I know is exploring the different religions right now. He recently asked me how the Bible came to contain the books it now has in it. Why were these put in, and others left out? And why does the Catholic Bible have more books than the Protestant Bible? What would you recommend I tell him? The formation of the biblical canon (the collection of the books in the Bible) is easier to see first in the case of the New Testament, because that process was witnessed by history. No one person or group sat down and decided what books would be in the New Testament (despite what you or your friend may have heard people like Dan Brown claim about the Council of Nicea, which never actually discussed the canon). Instead, books that stood the test of time through continuous use in diverse Christian centers were eventually accepted by almost all believers. Books that were judged inconsistent with the other approved books came to be recognized as edifying, but not scriptural. This process was basically complete by the time Athanasius of Alexandria wrote his festal letter for AD 367, which contains the first listing of the New Testament books as we know them today. A few remaining differences among centers were ironed out in the years that followed. We can infer that a similar process of community acceptance and use over time had earlier created the Old Testament canon. This is the historical perspective. But from a theological standpoint, as one of my seminary professors once put it, “The Holy Spirit bore witness to the church corporately about what books should be included.” In other words, the contents of the Bible were ultimately determined not by human authority, not even by the authority of the worldwide community of Jesus’ followers, but by divine authority. No sooner did the church recognize these books than it submitted itself to them. The church does not say, “The Bible is our book, and we can do with it whatever we want” (including dropping or disregarding teachings or whole books that are no longer in favor). Rather, the Bible is God’s book, and the church is responsible to understand and obey its message. 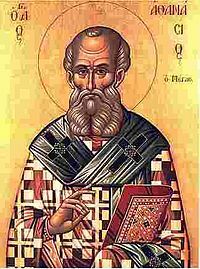 An icon of St. Athanasius, who did not determine the biblical canon, but who was the first to list the New Testament books as we know them today. The Catholic Bible has some extra books because it includes several that were written within the Jewish community in Greek before the time of Jesus. (The Old Testament books were written instead in Hebrew and Aramaic.) Catholics describe these books, which Protestants call the Apocrypha, as deuterocanonical, meaning that they were first disputed before they were accepted. Eastern Orthodox Christians use this same term to mean that these books are of secondary authority. For fuller details about these extra books, see this post. This is a short answer to a very involved question, but I hope this information is helpful. Author Christopher R SmithPosted on November 16, 2012 January 21, 2018 Categories Bible: CanonTags Athanasius, Bible: Canon, Nicea, Scripture1 Comment on How did the Bible come to contain the books it does?